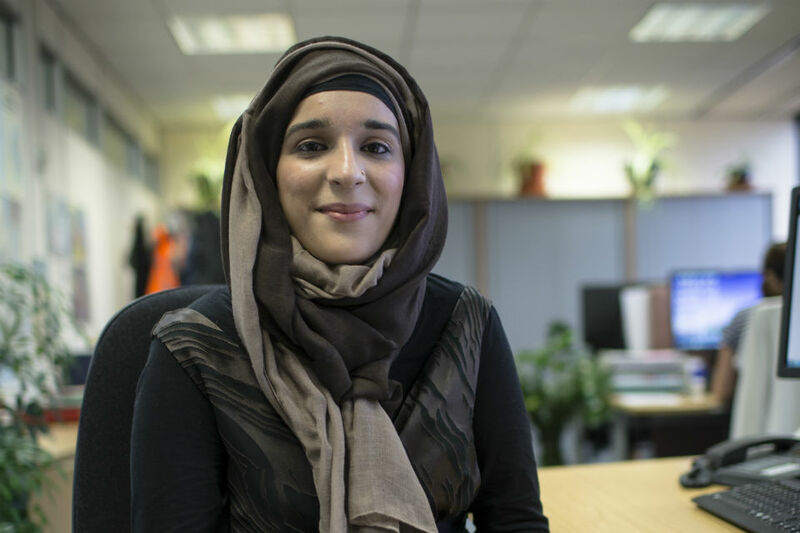 My name is Shasta Yaqub, I am 29 years old and work for HM Revenue and Customs (HMRC). Up until recently I worked as a team leader of a support team who assist our Investigators tackling Tax Avoidance Schemes. As part of a development opportunity, I have recently taken up a role as a caseworker in a team investigating tax avoidance schemes. I am currently training for my new role, which involves completing exams and gaining Tax Professional qualifications. My new role will entail investigating aspects of tax avoidance schemes. My day to day work will vary from tax calculations, reviewing documents relating to the avoidance schemes, dealing with correspondence, discussions with customers and their tax advisers by phone, and generally helping to progress our investigations. Making the transition into a more technical role means each day is different and presents new challenges. Alongside, my new role I am working on a high profile project as part of a development programme. My job is important as it is involves reducing opportunities for tax avoidance and deterring businesses and individuals from engaging in it. We look at the most effective ways to counteract tax avoidance whilst maximising revenues to the Exchequer and reducing costs for both taxpayers and HMRC. I am also currently on an internal talent programme which has been really challenging. I spent a week at Lawress Hall in Lincoln as part of the 2015 Spring Programme. Spring is a programme designed to help develop staff who want to further their career within HMRC. Before arriving I was absolutely terrified; I didn’t know anyone and I certainly wasn’t sure of what to expect. I’d heard lots of rumours about having to dress up and performing role plays which wasn’t what I thought I’d signed up for! There were some demanding activities which really pushed me out of my comfort zone such as preparing presentations in a short time span and presenting this in front of a large audience. Although I felt out of my comfort zone on a number of occasions I found the whole experience great from start to finish. I learnt a lot about myself, gained new experiences and lots of new confidence along the way. As part of the Spring programme I have taken on a really stretching role in the delivery of a high profile project for the directorate I work in. So far, some of the things I have been involved in are: learning and using project management skills, facilitating workshops, and drafting internal communications about the project, working with senior leaders and much more! The highlight was going to a Senior Leadership Team meeting to give a presentation to our Director and other members of the Senior Leadership Team about the project and my involvement in the Spring programme. Many of the things I have done were very stretching, but with input from my manager, mentors and supportive colleagues I have had the chance to be part of these opportunities, opening up new possibilities to be challenged, and to develop my skills and broaden my experience along the way. I had always been interested in working for the Civil Service and had been keeping an eye out for vacancies when I had come across and applied for an advertised post to work in the Debt Management Department in HMRC. There are many ways to get into the Civil Service from direct entry into a Civil Service job to applying for the Fast Stream Programme. I would definitely recommend exploring the different options available out there and applying. Before starting to work for HMRC I had preconceived ideas of what it would be like and thought the work would be purely tax orientated, but I was surprised to find the level of variation within the department. For instance, there are management, policy and operational roles. I like the broad availability of the different roles out there as there is an opportunity for a diverse career. When I think about the Civil Service, the opportunities I have been given stand out to me. My role has evolved as I have developed professionally. The diverse range of people and job roles included in the Civil Service means there really is a career for anyone, with the chance to develop and improve yourself whatever background you come from. I have thoroughly enjoyed myself since joining the department and have been given good opportunities to develop my career whilst meeting many great supportive colleagues along the way. I would definitely recommend it as a good place to work! !